Sport Fishing in Manuel Antonio, Costa Rica gives the opportunity to go offshore for Sailfish, Dorado, Marlin and Yellow Fin Tuna. You can also book an inshore trip for Rooster Fish. The sport fishing in Manuel Antonio, Costa Rica is perhaps the most booked activity of the area and for good reason. There is amazing fishing both offshore and inshore. 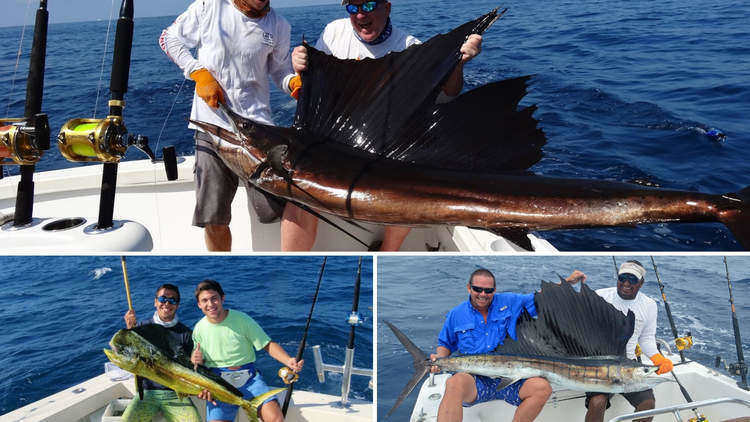 The area of Manuel Antonio, Costa Rica holds many world records when it comes to releasing Sailfish in a single day of fishing and the inshore fishing is famous for the Rooster Fish which give a pretty good fight. Price can range from $450 to $2400. Please contact us to determine how many anglers and what type of fish you are looking to target so we can provide you with the best fishing boat options. Enjoy the best offshore fishing in Manuel Antonio, Costa Rica. The offshore fishing in Manuel Antonio, Costa Rica allows you to book a Full Day or a 3/4 Day Trip. On both offshore tours, you will be targeting Sailfish, Dorado, Marlin and Yellow Fin Tuna. What changes is the time you spend on the water. The full day is from 7:00 a.m. to 4:30 p.m. The 3/4 offshore is from 7:00 a.m. to 2:30 p.m. The offshore fishing charter includes lunch, drinks, fruits, snacks, ice, beer, bate, gear, captain and 2 mates. The fishing distance to get offshore can range from 18 to 34 miles. The distance depends on the time of the year and how close the bite is for the specific fish you are looking to target. The way offshore fishing works here in Manuel Antonio, Costa Rica is the Captains troll most of the time, using Ballyhoo as the primary bate. There will also be teasers in the water to attract the pelagic fish. The boats are equipped with outriggers and top quality rods and reels. 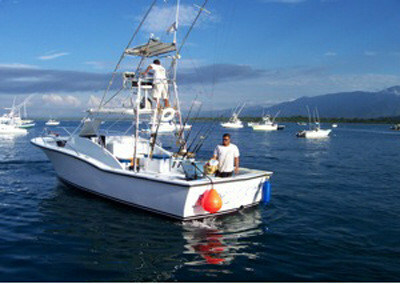 Go inshore fishing in Manuel Antonio with the Top Inshore Fishing Captains of Costa Rica. 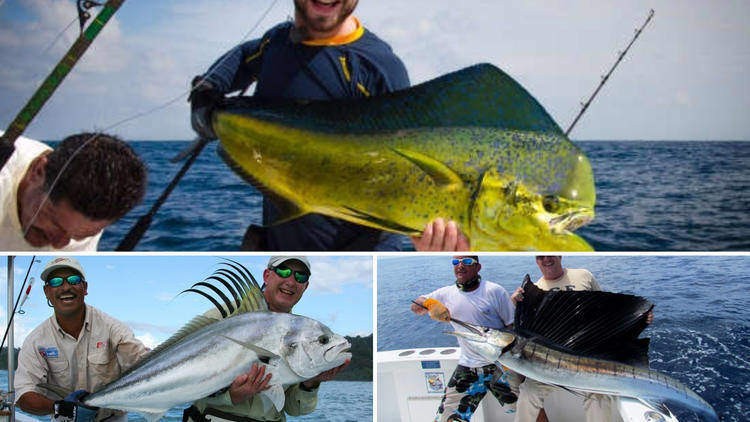 The inshore fishing in Manuel Antonio, Costa Rica gives you the best opportunity to fight a Rooster Fish or catch a delicious Red Snapper which you can take back home to prepare for lunch or dinner. The inshore fishing can be booked for a full day, 3/4 day or a Half Day which seems to be the most popular amongst our guests. The half day inshore fishing charter is from 7:00 a.m. to 12:00 p.m. Included is snacks, fruits, drinks, fishing gear, fishing bate, captain and mate. The inshore fishing is done using Live Bate as the way to attract the inshore fish. You will be spending your time near the mouths of the river where they is a constant flow of fish going in and out from the point of connection between the river and the ocean. The inshore fishing boats are equipped with live well which allow the live bate to stay with life for a long enough period of time to allow you to have a productive day of inshore fishing. 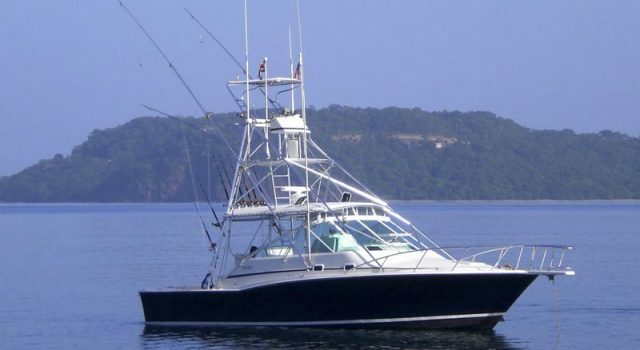 The fishing captains provided by Things To Do in Manuel Antonio have many years of sport fishing in the waters of Manuel Antonio. They know exactly where to take you so that you have a successful day of fishing and not a simple boat ride. The difference between having a productive day of fishing is having an excellent crew and a functional boat. The fishing boats depart from the Marina Pez Vela in Quepos, Costa Rica. 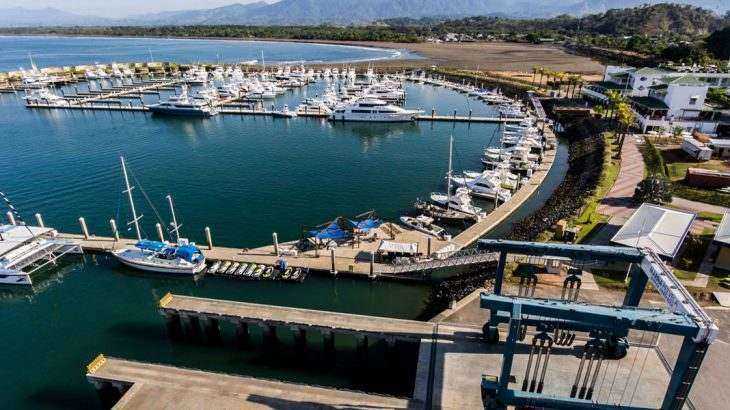 All of the fishing boats are docked at the Marina Pez Vela where your fishing tour will begin. When you arrive at the Marina, you will have to purchase a $15 fishing license which is not included in the price. There, you will meet up with your Captain who will take you to the boat. Can you take back the fish that you catch? When you go offshore, you are allowed to bring back Dorado and Yellow Fin Tuna. However, the fish has to be in a specific size and weight which the Crew on the boat will explain to you. 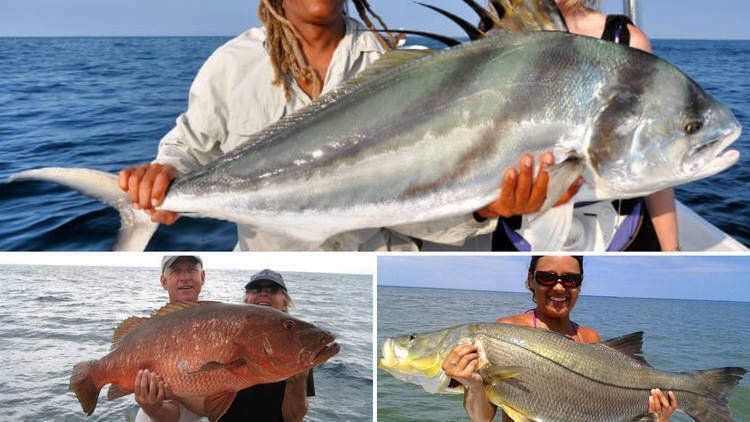 For the inshore fishing, you can keep Red Snapper, Snook & Spanish Mackerel. The fish will be fillet for you and placed in a zip blog back with ice, to keep it fresh until you arrive back to the dock. Things To Do in Manuel Antonio has a wide variety of Top Rated Fishing Boats for you to choose from. All of these boats have been proven to have successful fishing charters on both offshore and inshore. You can be sure that which ever of the following boats you decide to charter, you are going to be fishing with the best in the business. This 60 ft Luxury Fishing Boat can take up to 14 people fishing offshore and inshore. 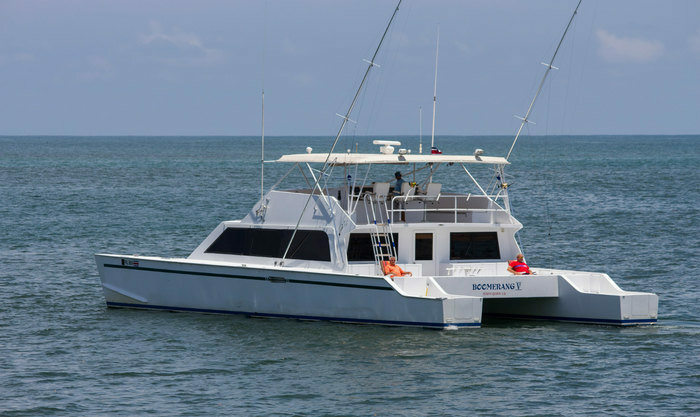 46 ft Cabo is perfect for large groups to go offshore fishing and inshore fishing. 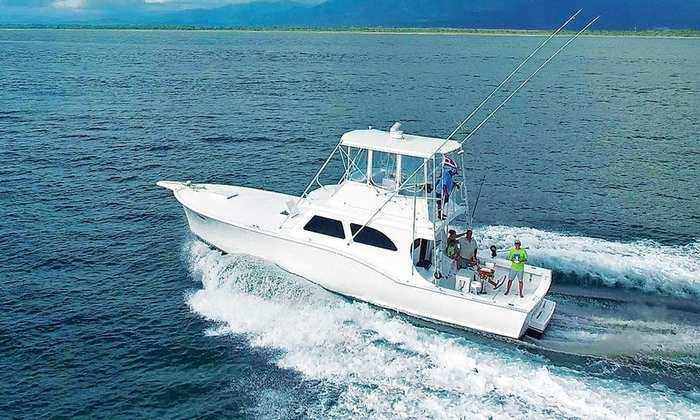 This 36 ft Cabo is perfect for groups of 4 to 6 anglers to go deep sea fishing and inshore fishing in Manuel Antonio, Costa Rica. An ideal boat for groups of 3 to 4 anglers, looking to get on the action for offshore and inshore.